This versatile visual aid clearly illustrates the benefits of implant treatment. Now includes section on peri-implantitis. Shows single implants, implant-supported bridges, and implant-supported dentures. 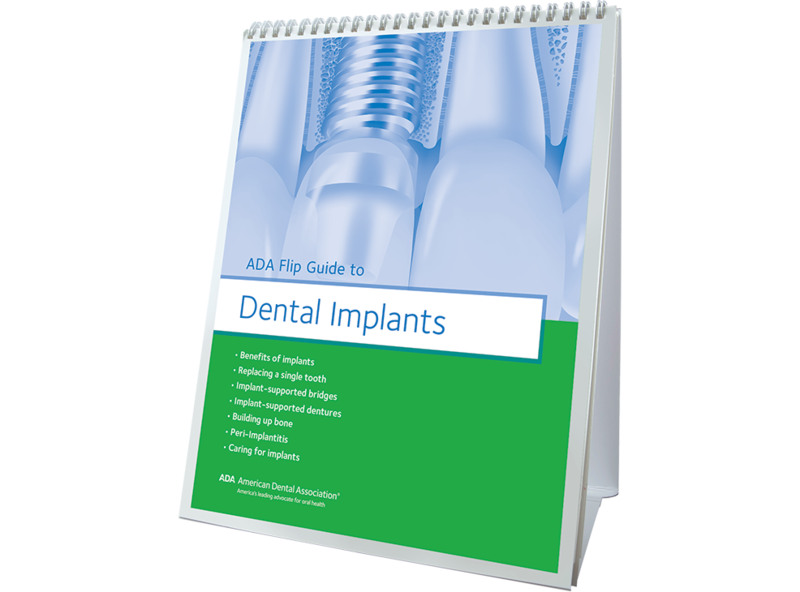 Includes illustrations of implant placement and before-and-after photos. Also explains the process of building up bone to support an implant, as well as post-treatment care for implants. 10 pages.